Spotlight + GIVEAWAY: The Burgess Boys by Elizabeth Strout | Denis blogt! 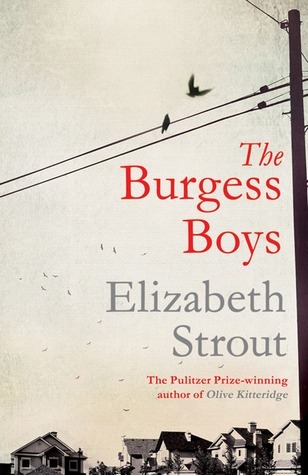 Thanks to Simon & Schuster UK, I’ve got a copy of Elizabeth Strout’s The Burgess Boys, due out in paperback in the US on April 8th, to give away to one lucky winner. Check out the book description and author information below, then read on to see how you can enter to win! Jim and Bob Burgess return to their Maine hometown of Shirley Falls, many years after they first escaped its narrow confines following the death of their father in a freak accident. They have been asked back by their sister Susan, who needs help with her troubled son, Zach. But as the Burgess brothers return to the landscape of their childhood, the long-buried tensions that have shaped and shadowed their relationship begin to surface in unexpected ways that will change them forever.